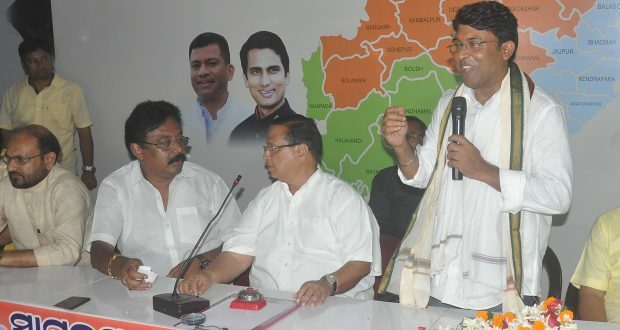 Bhubaneswar:12/8/18; Senior journalist and news presenter Satya Prakash Nayak joined Congress party on Sunday at Congress Bhawan in Bhubaneswar. Satya Prakash Nayak is likely to be the chief spokesperson of Odisha Congress, as per sources. Besides, it was also learnt that he has been promised an assembly ticket from Bhandaripokhari constituency in Bhadrak district which is his native place. The confirmation of joining the party was revealed last week when he met Jitendra Singh, Odisha-in-charge of Pradesh Congress Committee. Satya is a well-known face in every household of Odisha through his prime time television shows in some regional channels. He has an experience of over two decades in journalism sector and is popular face in State and beyond as a firebrand journalist.